Tailors vary significantly in their style of cut and their personal style also. It’s vitally important when deciding which tailor to entrust your wedding suit to, that you feel comfortable that they understand the suit you have in mind. This initial research can be done simply by looking at a few websites to get an idea of the type of clientele each brand caters for – whether it’s Prince Charles or David Beckham. Once you’ve found a tailor you like the look of, book a scoping appointment to discuss what you would like your suit to be. Taking along images of a style you like is definitely a good idea at this stage. You can discuss style and cloth options and also decide if you this is the tailor for you. This initial chat is a good time to ask the tailor roughly what the job will cost and how long it might take. A bespoke two piece suit for example can range widely from approximately £2K to £6K, depending on the maker, their clientele, location and the materials involved. Timescales also vary widely, from 6 weeks to 4 months. If you’re feeling confident (or perhaps pushed for time) you can order the suit on the spot. However, if you have the time it’s worth booking a second appointment with the tailor so that you can go through the order options slowly as there’s quite a lot to consider. Choosing the cloth is often more difficult than you might think. 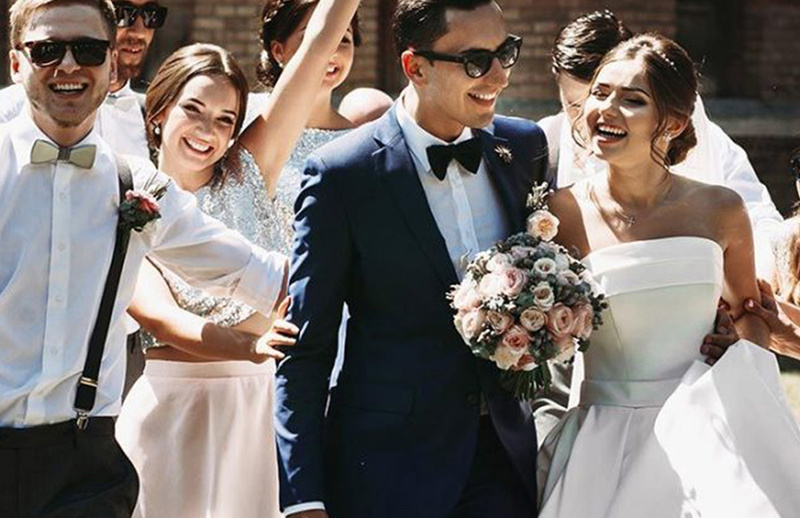 From start to finish you’re looking at an average of three months to create a bespoke wedding suit so it makes sense to get it sorted out early, especially as tailors get busier and busier in the run up to the peak wedding months, whereas January is a relatively quiet month. Got engaged in December? Book an appointment for a chat about your bespoke wedding suit here.